contact our office directly at 866-410-5335. Established in 1980, Credit Systems International, Inc. (CSII) is a nationally recognized Accounts Receivable Management firm headquartered in Fort Worth, Texas. CSII specializes in consumer centric collection solutions and continues to provide dependable recovery strategies for a multitude of industries with extensive experience in the healthcare, utility and governmental industries. As a member of ACA International, Inc., The Association of Credit and Collection Professionals, CSII places top priority on compliance and treating all people with respect and integrity while reaching top liquidations for all clients’ portfolios. The Professional Practices Management System (PPMS) certification is a rigorous process requiring initial and on-going internal audits to ensure an agency has documented quality management policies and procedures. CSII successfully completed the ACA International’s extensive process to become a PPMS certified collection agency validating the effectiveness of CSII’s department specific work standards. The PPMS certification was designed to ensure consistent quality control and production at all organizational levels within an agency and is based upon the internationally recognized standards of ISO 9000 and Six Sigma. CSII successfully completed a SOC 2 Type II Service Organization Control (SOC 2) examination in accordance with attestation standards established by the American Institute of Certified Public Accountants (AICPA) providing evidence that CSII has a strong commitment to deliver high quality services to our clients. and active member of the ACA International, The Association of Credit and Collection Professionals. If you are interested in CSII’s collection services, please click here and provide your contact information allowing one of CSII’s Business Development team members to reach out to you. Thank you for your interest as we look forward to speaking with you! 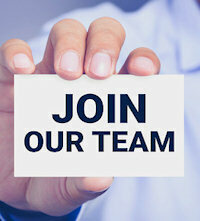 We are always looking for exceptional team members to join our exceptional team! If you are a dynamic, upbeat, and focused hard-worker, then please click the link below to submit your resume and complete a few pre-employment tests.